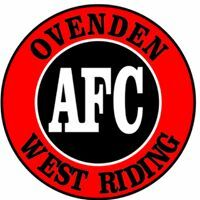 Ovenden West Riding Juniors AFC are looking for new and old players for the forthcoming season 2017/18 for their under 14 team. They will commence training on Saturday 21 July, 10:00am at the OSCA site at Forest Cottage on Cousin Lane. Matches in the Huddersfield Junior League take place from September on Sunday mornings kicking off at 10:30am. For more information contact Jason on 07775 440157 or Steve on 07727 860731. All their coaches are as a minimum FA Level 1 qualified, DBS (CRB) checked and hold a FA Safeguarding & Emergency First aid Certificates.